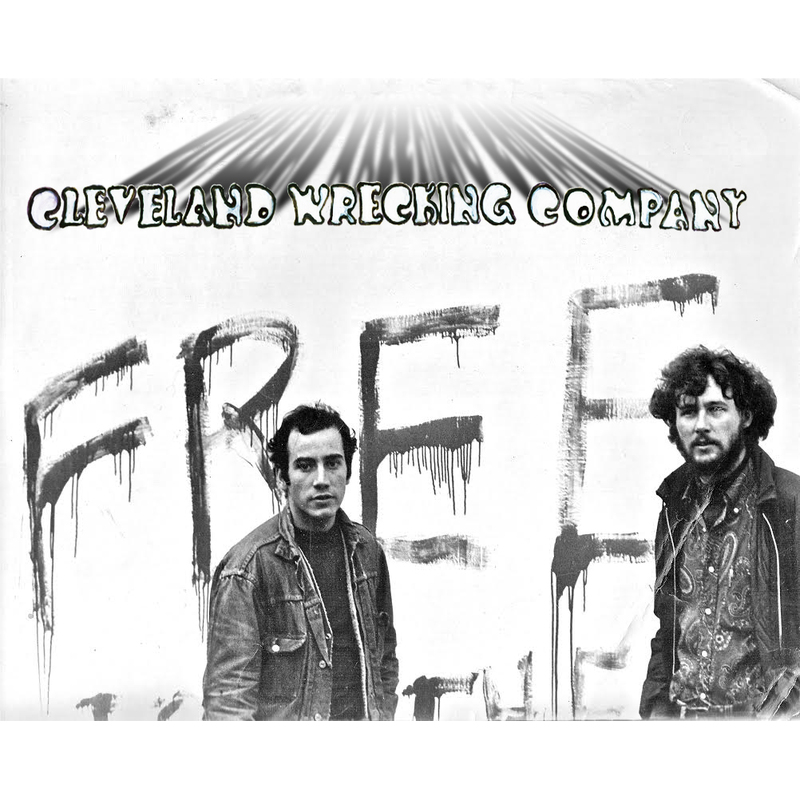 The Cleveland Wrecking Company were formed in San Francisco in 1965. Their members came from jazz, flamenco and R&B backgrounds, but together their psychedelic brew verged on Blue Cheer heaviness. As perennial local favorites, they gigged at every stage in the area. They left behind no recorded artifacts during this time; a deal with Vanguard went nowhere, when their manager absconded to Mexico with the album advance on an ill-fated mission to buy a kilo of pot. A later incarnation of the band – with a completely different lineup and musical style – released a 45 that has since become a favorite of cratedigging DJs, but This is not That. These two tracks hail from 1967-8 : one studio, one live (the sonics on the latter may remind of the VU’s “guitar amp” boot, but with a solo as overdriven and atonal as this, it’s a plus). With liner notes by Jim Moscoso (CWC vocalist, bassist, brother of Victor) and rare photographs. “…the songs see the band in acid-punk mode, with ‘Say There’s A Reason’ featuring searing, barely controlled leads from Norman Beals and snotty vocals from singing bassist Jim Moscoso. Cut in Nick Gravenites’ studio, it really is a find. The flip was recorded live at either The Family Dog or The Fillmore West, and packs even more demented fuzz into the mix. These two unreleased tracks will certainly excite psych-punk fans. File somewhere between early Blue Cheer and one of the many mind blowing acid-punk obscuros from the same period. Snap it up before they go!” – Jon ‘Mojo’ Mills, Shindig!